Designed to look like a sign that has been tacked with two nails to something (like a fence), these cards are personalized with 2 lines of custom text. They are sold in sets of 40. 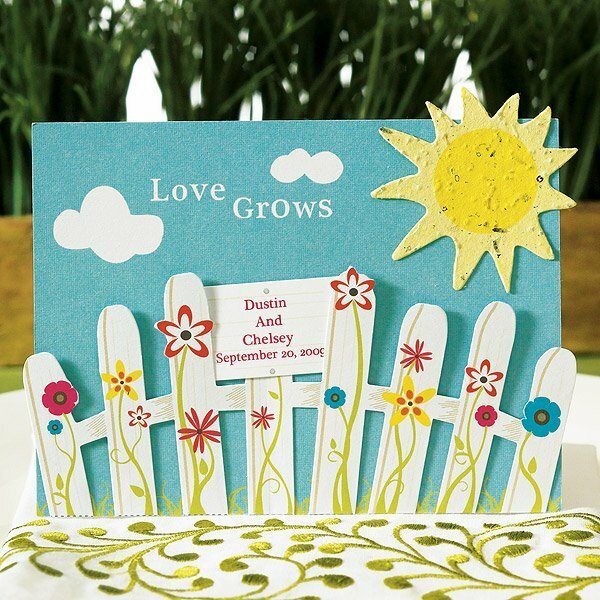 They look great with our Love Grows Fence & Sun Seed Card favor which is sold separately. Product dimensions: 1.5 x .75".